A Course In Miracles is one of the most profound books I’ve ever read on the subject of healing and how to live a truly spiritual life on planet earth — without having to change your name, wear different clothing, join a “club”, speak a foreign language or change your religion. The course is down to earth, practical, and an exquisite literary work of art. A “keeper”. 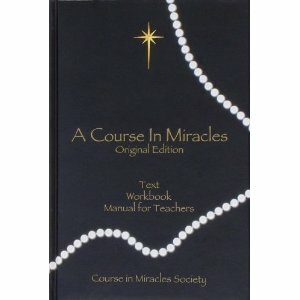 A Course In Miracles is a set of books that was “inspired”. It was “dictated” to or “channeled” by Helen Schucman, a professor of psychology in the School for Physicians and Surgeons at Columbia University in New York City. 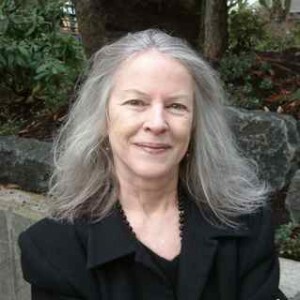 For Helen’s own account, click on ACIM under ACIM online in the column to your right. Select ACIM, then read from the Preface – How It Came. ACIM was first published in 1975 as a three-volume set of books. A few years later two additional chapters, the Supplements (Song of Prayer and Psychology) were transcribed. All three books and the Supplements are now published in one volume. For more details read from the Preface – What It Is. The Course is best digested in bite-sized chunks. For an excellent overview and introduction to the contents of the book read the Preface – What It Says. Patricia Robinett is the author of Knowledge, The Essence of World Scriptures, a collection of quotations from every ancient tradition and from ACIM that point at Knowledge, a powerful, universal experience of oneness. Some people think that Auntie Patricia wrote the lessons she reads in the videos. This is not so. She merely reads the lessons from the workbook section of A Course In Miracles because it is easier for some students to study the lessons when they hear them read aloud by someone in a pretty hat. 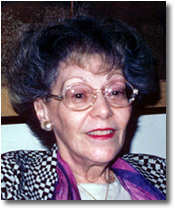 And even though Auntie Patricia didn’t write the lessons, she is a long-time student, of A Course In Miracles. For over twenty years, she has facilitated ACIM study groups in Eugene, Oregon and on the internet. If you’d like to join a group or have some private tutoring, please use the Contact form to make a request. Auntie Patricia’s purpose to help make the message of the course simple, fun, easy and doable for everyone… including herself. She now recommends the Original Edition for study, with pearls on the cover, as its language is simpler and easier to read, plus it contains important material omitted from the highly edited edition. You can sit back, relax, and let it in as she reads to you from the lessons. You can also read along, as the text of the lesson is posted below its video. This is where to come if you want to study the course with someone in the comfort of your own home, any time day or night and on holidays. Please sign up for free daily email reminders to make it easy to stay current with the lessons. RSS is an excellent system. Or, to get lessons scheduled differently from this site, sign up in the form at the Subscribe tab, above and write an email to let me know which lesson you would like to have in your mailbox tomorrow morning. And for he who knocks, it shall be opened. If you are a father and your son asks for bread, will you give him a stone? If he asks for a fish, will you give him a snake? Or if he asks for an egg, will you give him a scorpion? You are decent to your children. your loving Father will give it to you.